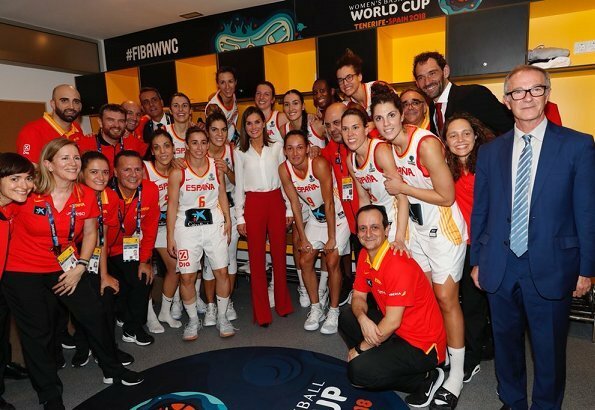 On September 30, 2018, Queen Letizia of Spain attended the final match of Women's Basketball World Cup "FIBA Tenerife 2018" organized by International Basketball Federation (FIBA) and Spanish Basketball Federation at Tenerife Santiago Martin Sports Hall in in Santa Cruz. 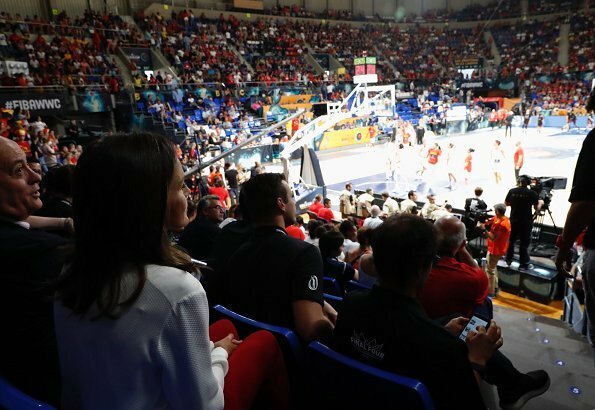 2018 FIBA Women's Basketball World Cup is held for the 18th time this year and is the premier international tournament for women's national basketball teams. 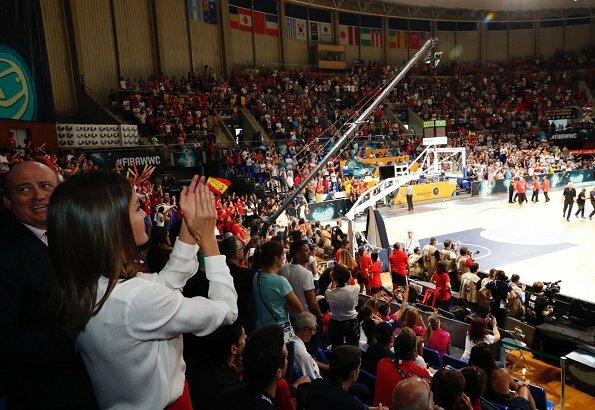 FIBA Tenerife 2018 is being held in Tenerife in Canary Islands, Spain between the dates of September 22 and 30, 2018. 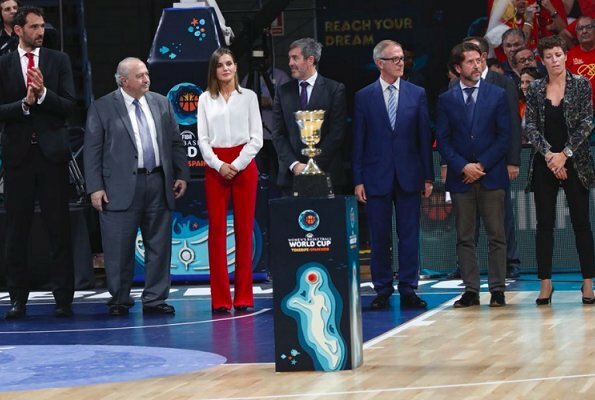 In this tournament, the name of FIBA Women's Basketball World Cup is used for the first time. I think the trousers don't look as nice without the jacket. She probably wanted to look more casual for the event. 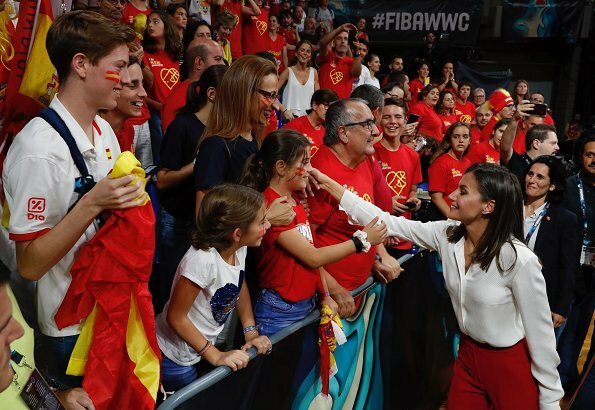 She wanted to wear a white top as the Spanish team and red also By the way they won the bronze medal versus Belgium. I like the look. Indeed a bit more casual than with the jacket, and quite right for the occasion. 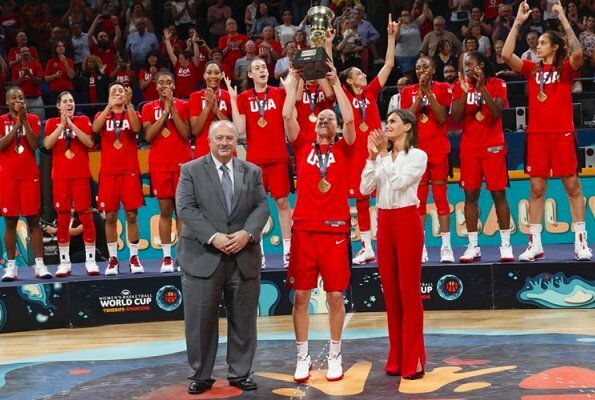 She looks totally patriotic in those colours, actually a bit like part of the team, yet not toned down enough to let the basketball ladies be the star of the show. 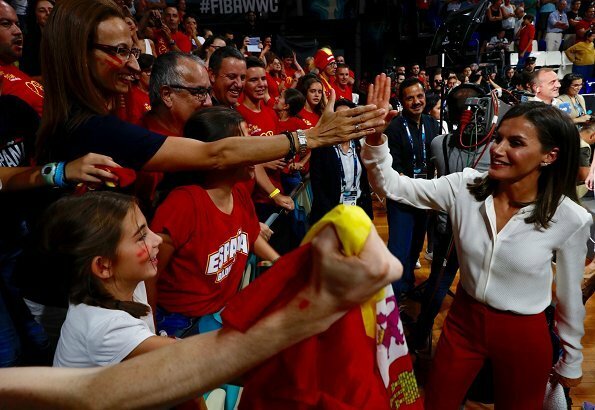 La Reina tiene un aspecto magnífico, elegante sin exageración y muy natural. 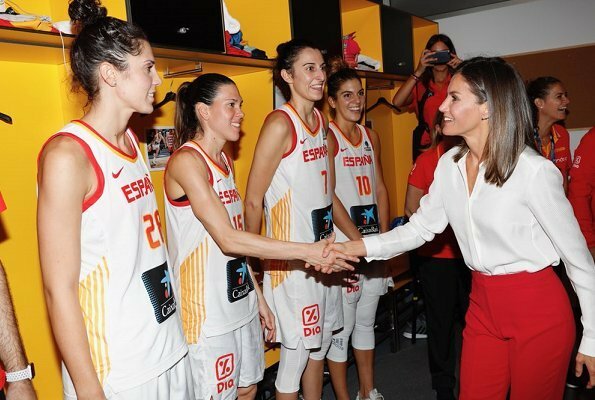 Felicidades a las jugadoras por su medalla de bronce. Love this outfit, especially with the jacket. I've always loved these pants. I like the suit better, but she still looks fabulous. Perfect for this event. Red and white combo looks great for this event. Her hair are very shiny and beautiful.